Robocalls, which involves a “robotic” or pre-recorded caller, are making a big impact on people’s lives. 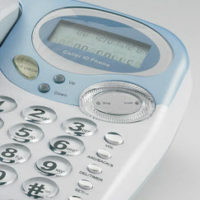 Because many people do not answer calls under phone numbers that they do not have in their contacts, companies and individuals have taken to using fake caller ID numbers that appear to be from the victim’s region. For example, if the victim has a phone number with the first three digits matching Leesburg, Virginia, the robocall spoofer would use those first three digits, mimicking the possible number of a long lost friend, neighbor, or local business. For many, robocall spoofing is simply an ever-increasing annoyance that takes up their time, but for others it can cost thousands of dollars when their personal information is sold for fraudulent purposes to third parties. The Federal Communications Commission (FCC) makes spoofing illegal, though it can be difficult to catch perpetrators. However, one such person who ran multiple companies that have allegedly been making millions of robocalls per day is facing serious fines. The FCC is seeking $120 million in fines against the man, according to CBS News. According to the FCC, under the Truth in Caller ID Act, it is prohibited to transmit “misleading or inaccurate caller ID information with the intent to defraud, cause harm, or wrongly obtain anything of value.” One can be fined $10,000 for each spoofing action. The Florida man who is facing $120 million in fines allegedly conducted up to one million calls a day. Other than denying your involvement in the alleged spoofing actions, another defense may be to take may be to show that no harm was committed. Under the Act, if no harm was intended or caused, the telecommunication spoofing actions are not illegal. The previously mentioned defendant’s companies, via robocall spoofing, allegedly disturbed emergency services by flooding people’s phones with scam calls, deceived consumers into losing thousands of dollars, and hurt other, legitimate, businesses, including a Virginia-based medical emergency paging service. Due to the mountain of evidence against the Florida man, including possible physical harm caused to his victims, it will be difficult to avoid the heavy fines imposed by the FCC. As more and more people are impacted by robocalls, stricter punishment will be enforced and the importance of hiring a highly competent attorney will increase. Spoofing is a serious offense and can lead to tens of thousands or even millions of dollars in fines. Do not leave your freedom and economic stability in the hands of an attorney without extensive experience in dealing with the FCC. Do not hesitate to contact the experienced Leesburg, Fairfax, Winchester, or Manassas criminal defense attorneys at Simms Showers, LLP today for immediate assistance.